Here’s a way to do both. 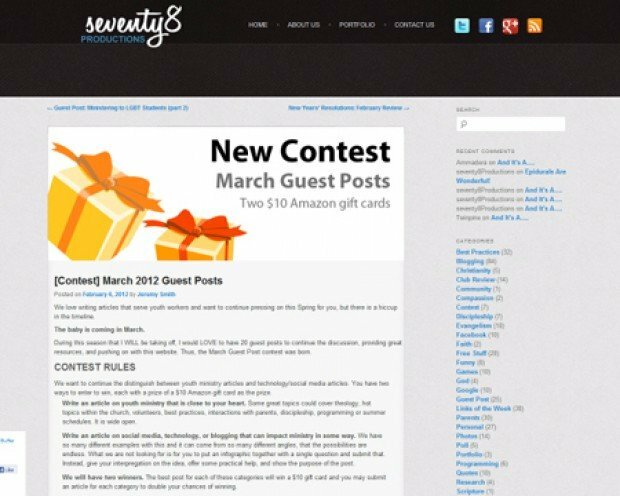 Jeremy Smith, a proud member of the ChurchMag Authors Network, is holding a “Guest Post Contest” over at his blog, Seventy8Productions. He’s looking to take some time off—not to sit back and relax, though. Our friend Jeremy and his wife have just welcomed a tiny bundle of joy into the world, so why not help Jeremy get some quality family time by entering an article in his contest? There’s nothing as rewarding as helping someone else, except when doing so actually rewards you! 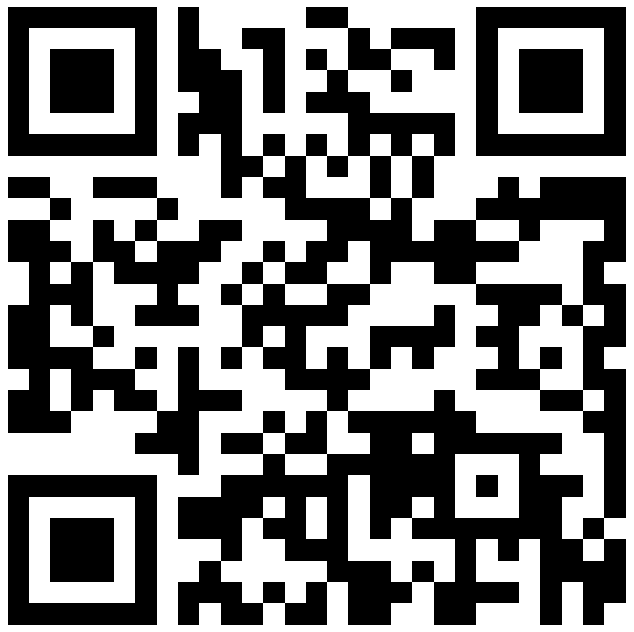 You have until March 10, so get started! For full rules and details, check out the contest post on Jeremy’s blog. Is the contest you describe here any different than this one? I don’t mean to sound snarky, I’m just wondering what ChurchMag’s readers’ opinions of spec work contests are. Does it make a difference that this contest is for written articles vs. graphic design? I don’t think it’s snarky at all. It’s a valid point for sure. I think it varies from person to person. For some, this may be a cool opportunity, while others, a total waste of time. I totally understand your concern and if I was here to make money off the blog or it was more than the hobby, I’d agree. But, we want to give a voice, this contest has a purpose behind it, and i am a strong believer in blogging consistency, even if to a fault. Thanks for sharing man! Thanks for the explanation, and congrats on the new arrival!